 On August 25th and 26th, BTS kicked start the first stop of their world tour “LOVE YOURSELF” in Seoul at Seoul Olympic Stadium. It attracted around 90,000 fans in total for both days, proving their immense popularity. This concert signals the end of their ‘LOVE YOURSELF’ album series but at the same time, also the start of their world tour. 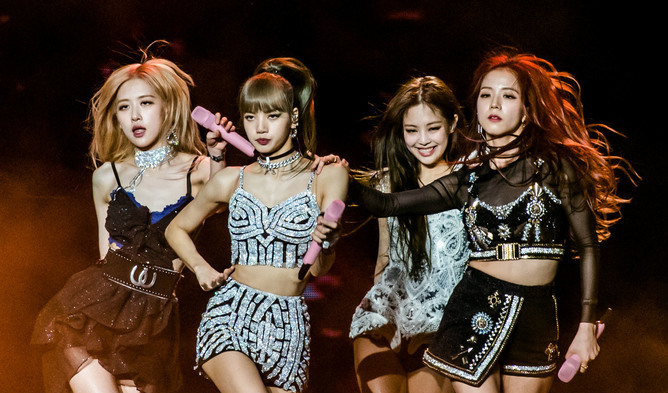 After the concert in Seoul, they will be heading to various countries such as the U.S., Canada, Japan and so on to meet their fans and also spread the message of loving oneself. One of Kpopmap’s editors made her way to the concert as a fan and shared the following review. Before entering the concert venue, fans are queuing outside, either giving out free slogans and stickers or taking photos with the banners. Being part of the fanclub means that you get to enjoy some of the benefits which others do not get! For their concert in Seoul, Big Hit Entertainment gave out special transparent photocard of each members to those in the fanclub. 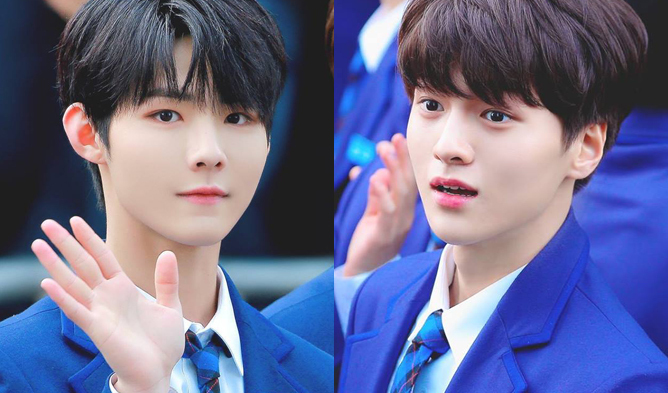 Although they were given out in a random manner, some fans ended up trading with each other for their favorite member. Here is an example of leader RM photocard! Another part of the pre-concert must-dos is to get the official goods! Fans were surprised to find out that aside from the official goods booth, there was also a ‘Smeraldo’ booth hidden at a corner of the concert hall! For those who do not know, Smeraldo is a flower made up by BTS used in the story which they have been trying to tell. The flower made its first appearance in BTS highlight reel a year ago. Fans were ecstatic to find that they were also able to purchase goods related to smeraldo. Our editor decided to get the smeraldo bookmark. Apart from that, they also had key ring, stamp set and also fragrance sachets available for fans to purchase. 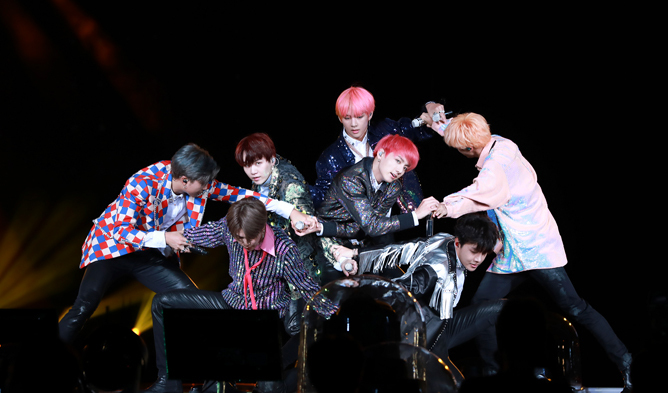 When Big Hit Entertainment first announced the sale of the concert tickets, one of things which fans took note was the fact that there might be a chance that the 7 boys will be using water as a special effect on stage. They kept their words and one of the most memorable moments for fans had to be the part when water shot up from the side of the stage! It came from no where and fans were very surprised when the water were fired high up into the sky. One fan sitting further away from the stage was able to capture the special water effect on camera! Our editor who was sitting near the stage mentioned that she was hit by the water! Luckily, prior to the start of the concert, raincoats were provided to fans sitting at the ground section. Continuing the hype, all the fans at the concert were amazed by the new feature of the ARMY bomb version 3. As it is synced through Bluetooth with the main control area, it automatically changes color! It was amazing to be able to witness the tremendous amount of fans who have attended the concert. 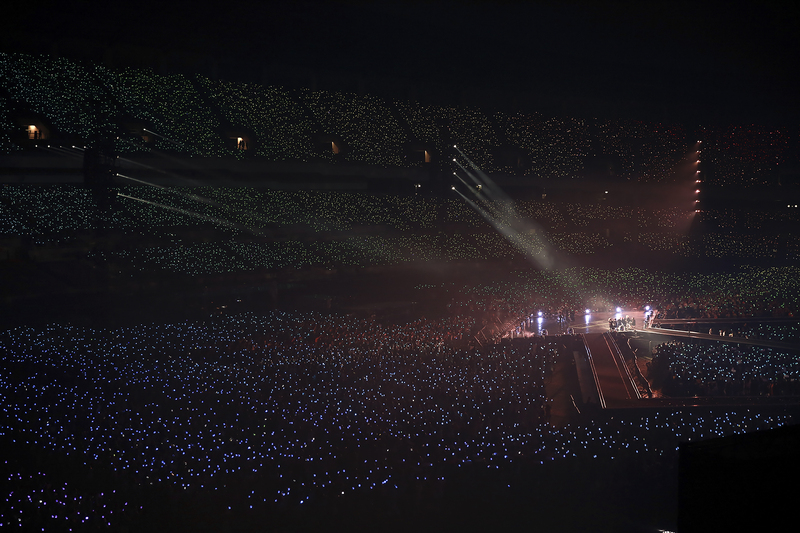 The concert ran for a total of about 3 hours, with BTS performing their songs from their latest repackaged albums as well as their previous title tracks. It was noted by our editor that they performed a total of about 28 songs! 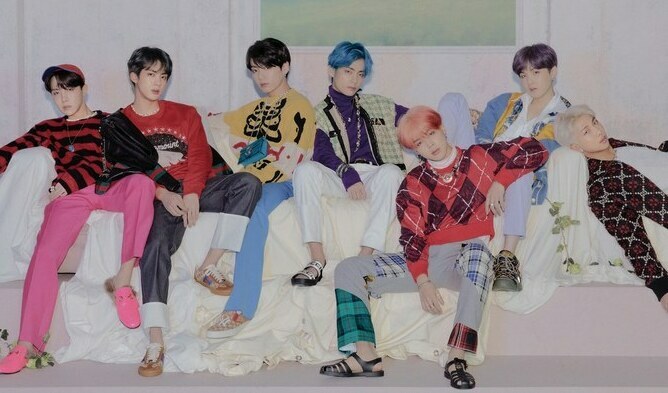 BTS also showed their individual unique charms when they performed their solo songs namely, ‘Euphoria’, ‘Serendipity’, ‘Singularity’, ‘Epiphany’, ‘Trivia:Seesaw’, ‘Trivia:Just Dance’ and ‘Trivia:Love’. Our editor had a hard time choosing the best solo stage but if she had to choose, she would have gone with ‘Singularity’ just because of the stunning choreography and LED screen effect. Near the end of the concert, RM was sharing his thoughts about the concert and asked if he could hug the rest of the members. Immediately, the fans went ‘aww’ and cheered when the members hugged one another. BTS mentioned that they have always been a fan of ARMY and because of them, they were able to come this far. Hearing the emotional speech, the fans could not help but feel more emotional than before. 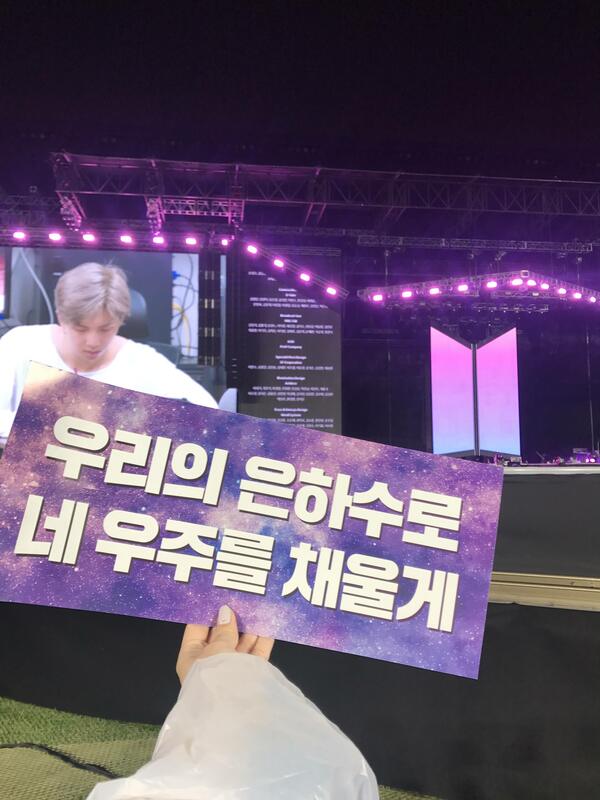 The fans also flashed the slogan provided to them when they first entered the concert venue to the 7 boys. The slogan says “We will fill your universe with our Milky way”. They ended the show by singing ‘Answer:Love Myself’ and going around the stadium in carts, waving to the fans who were watching from the second and third level. 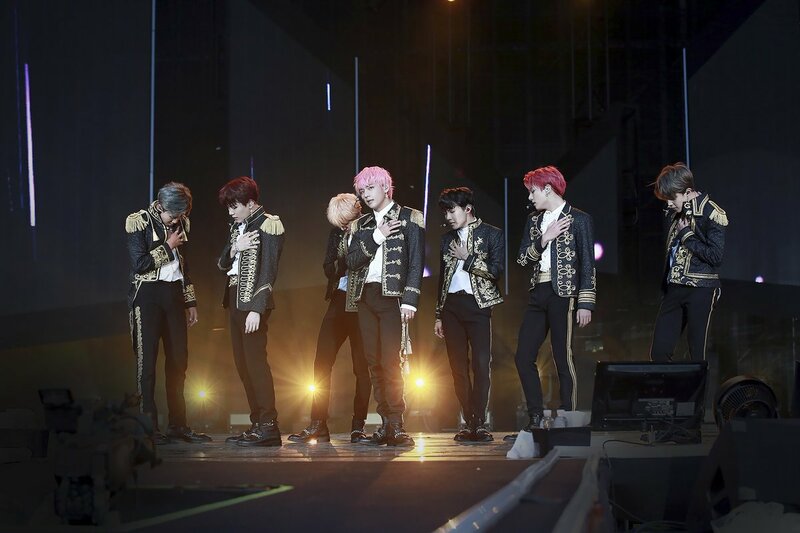 BTS successfully ended both shows in Seoul and our editor believed that the remaining shows in other countries will also be memorable for BTS and fans overseas. Although it might the end for the shows in Seoul, it is definitely the start of the world tour, the start of another beginning for BTS. We hope that BTS will have a spectacular world tour!